Have your kids bounce for hours in the Buzz Light Year Club House! This is great for any party themed with Toy Story! 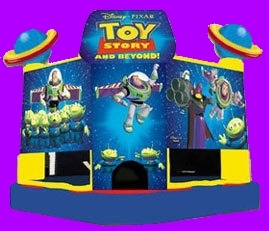 JumpMaxx prides ourselves in providing America with newer, cleaner, high end entertainment with inflatables like the Buzz Light Year Club House and many others.